On 13 August, servicemen from the U.S. and Bulgarian Naval Forces participated in the joint PASSEX-type exercise that this time took place in the Gulf of Varna on the Black Sea. In the training also were involved an American destroyer squadron “USS CARNEY”, which is currently in the Black Sea, and a tactical group of four high-speed patrol boats, which previously were donated by the U.S. Naval Forces to the Bulgarian, and now have the chance to be tested, learned BulgarianMilitary.com. PASSEX is a type of training that is usually done between the Naval Forces of two countries in order to ensure they are capable of interoperability in means of communication and cooperation in times of war or humanitarian relief. During the training the Bulgarian and U.S. Navy servicemen completed a wide range of tasks such as detecting, tracking, and acquaintance of a high-speed, afloat enemy, which in this case was SURFEX 310. They also performed scenes of detecting asymmetric attacks that had become typical in the modern naval environment. To them are assigned cyber attacks and terrorist tactics. The exercise was attended by Vice Admiral Lisa Francheti, commander of the US Navy’s 6th Fleet, who is currently deployed in the Black Sea region and the Commander of the Bulgarian Navy Rear Admiral Mitko Petev. Before the start of the training, both of them spoke about the importance in the synchronization of the work and the interoperability of the U.S. and Bulgarian Naval Forces. Later on, they supervised the course of the training from the board of a FPB-M high-speed patrol boat. The U.S. and Bulgarian Naval Forces that took part in the drill, showed very good tactical preparation. The crew and the group were also appreciated by the Commanders for their interaction capabilities in the joint implementation of tasks and elements of their sea training. 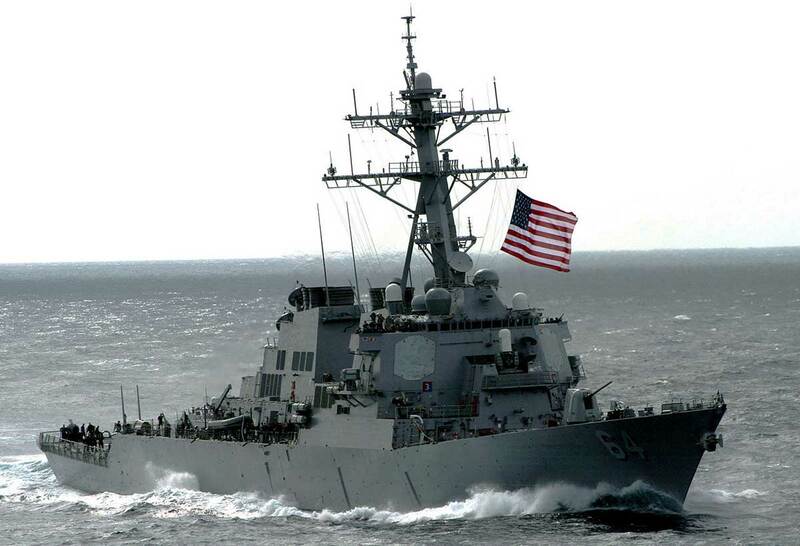 USS Carney (DDG-64) is the 14th destroyer squadron from the Arleigh Burke-class of the United States Naval forces. The ship is named after a former Chief of Naval Operations, Admiral Robert Carney, who served during the administration of the U.S. President Eisenhower. In 2012, the destroyer squadron USS Carney has been upgraded into guided-missile destroyer as part of the Aegis Ballistic Missile Defense System.